Like any Bingo game, the first player to get five numbers in a row wins, except for one major difference… and this is the powerful secret: Everyone Wins at the Same Time... Shouting the Same Winning Words! 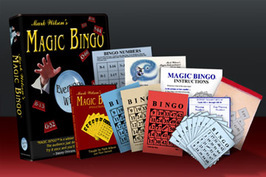 Use this with Magic Bingo for an easy way to force the correct winning bingo numbers. 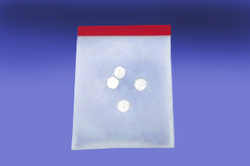 This bag is included in the "Kit" above. We offer it as a replacement if your bag is lost or damaged from the original "Kit". 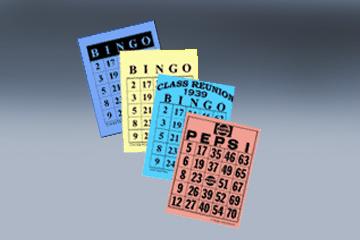 We also offer custom printed Magic Bingo Card Tops and "Free Square". Customize the cards with a logo or the name of the event or an honored guest. In addition to customizing the front of the card we also offer you the ability to custonize the back with you special message. * Also requires a one time set up fee of $35. Please click this "Add to Cart" if you see an astrik (*) next to your item above. Thank you . Custom orders can not be processed until "set up fee" is paid. Please note: All item and shipping prices subject to change.